We need to recognize the value of sun protection and the role it plays in keeping us healthy. As soon as there is a hint of Summer and the possible arrival of sunshine, we all look forward to being outdoors embracing the sun and the warmer weather. 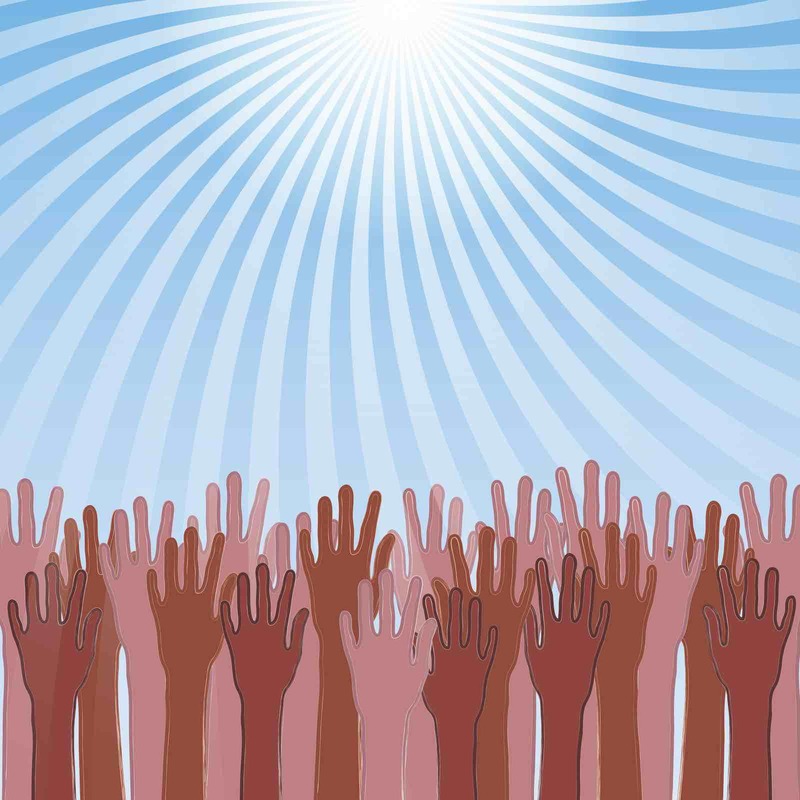 People of all cultures, ages, sexes and skin colors embrace the sun's warmth for it's wonderful life giving energies from one end of the globe to the other. We hardly ever outwardly seek or embrace the rain, cold, sleet, or snow, just for the sheer pleasure of being in it all, will whilst we flock to where the sun is likely to shine. Just 50 - 60 years ago, when many people started responding to the sun tanning craze, not many of us understood the potential harm that the sun's rays could provide. 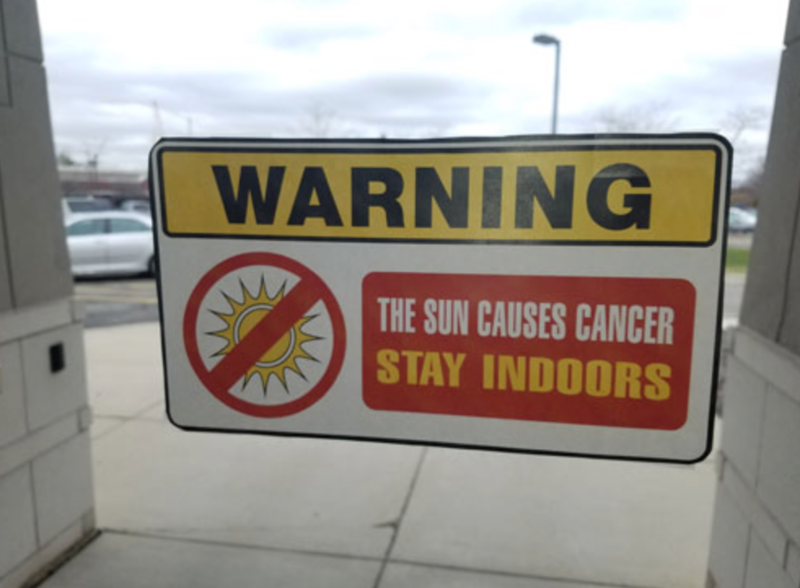 Today, the threat of skin cancer from the sun's harmful Ultra Violet (UV) rays, plus the increased desire for one's skin to never age, has resulted in most people being more aware of the need for the right sun protection. In some cases they are too afraid to go outdoors at al! There is a lot of information about sunscreens that is confusing. A key example is the understanding that the higher the SPF (sun protection factor), the more likely the sunscreen will protect you against both UVA and UVB rays. SPF only protects you from UVB rays. Predominantly, sunscreens do not provide sufficient protection against the UVA rays, if any protection at all in some cases. 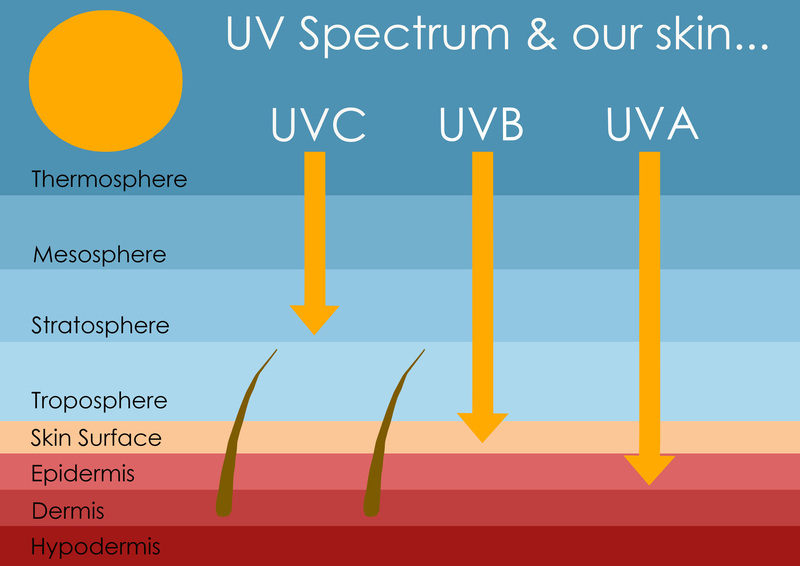 UVB rays are short-wave radiation waves that cause sunburn and potentially skin cancer with lengths of 290-320 nanometers on the UV spectrum. The longer UVA rays cause deeper damage and premature skin aging as well as skin cancer. To get a sunscreen that provides protection from both UVA and UVB rays, look for a products with ingredients zinc oxide and titanium dioxide. They not only both protect against UVA rays as well as UVB rays, they provide the best possible protection from the UVA rays. 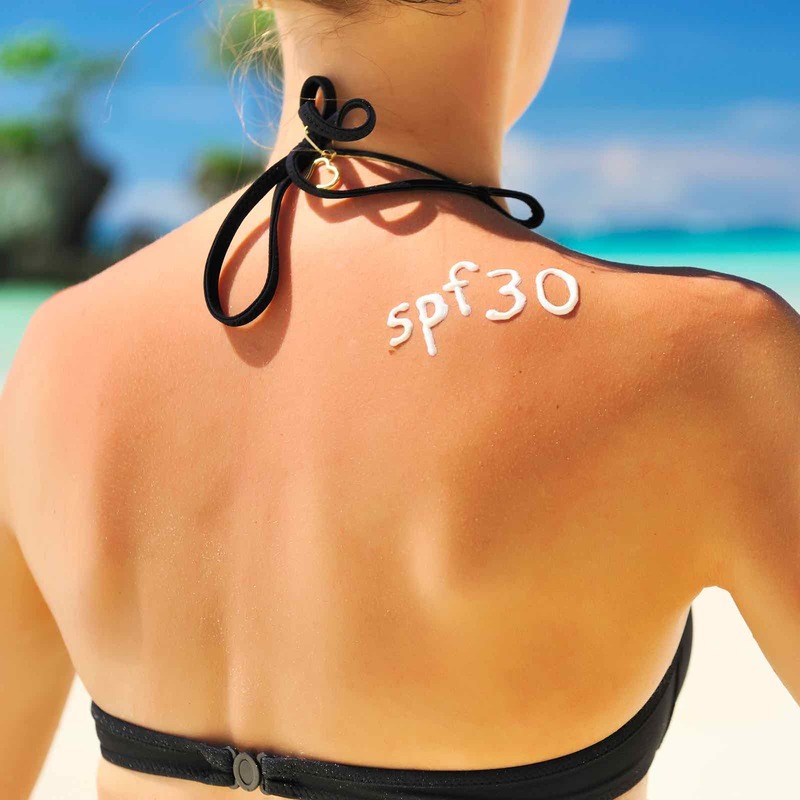 A common falsely held belief is that a high SPF, say 50 or higher, will provide significantly more protection than the most popular SPF 30. 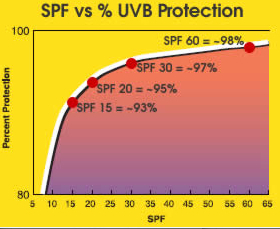 The reality is that an SPF 30 provides about 97% protection against UVB rays, whereas a SPF 50 or 60 only provides 98%. An SPF 100 provides for nearly 99%. However, too much protection from the sun's rays reaching you can actually put your health at risk. You actually NEED exposure to sunlight in order for your body to manufacture vitamin D from the UVB rays. This nutrient is increasingly being recognized as vital in protecting ourselves from many types of cancers. 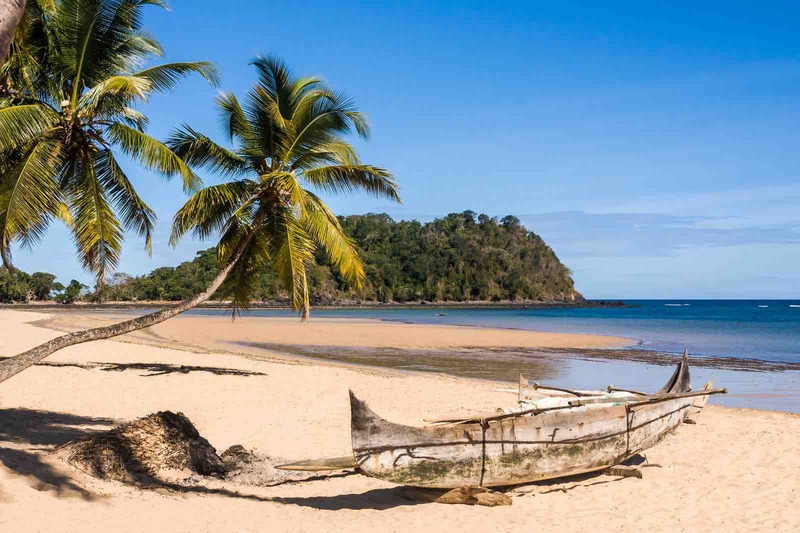 So how do you ensure that you are getting sufficient sun exposure to top up your vitamin D levels, while still protecting your skin from burning from the sun's UVB rays and ageing from it's UVA rays? So when choosing a sunscreen, try and get one that not only provides protection through zinc oxide or titanium dioxide, is free of any toxic ingredients, but is also very high in antioxidants to support your skin when faced with the sun's radiance.